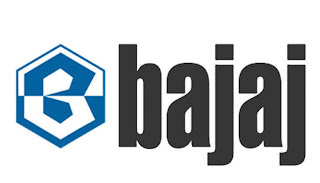 Bajaj Auto is a major Indian vehicle manufacturer started by Jamnalal Bajaj from Rajasthan in the 1930s. It is based in Pune, Maharashtra, with plants in Chakan (Pune), Waluj (near Aurangabad) and Pantnagar in Uttaranchal. The oldest plant at Akurdi (Pune) now houses the R&D centre Ahead. Bajaj Auto makes and exports automobiles, scooters, motorcycles and the auto rickshaw. The Forbes Global 2000 list for the year 2005 ranked Bajaj Auto at 1,946. It features at 1639 in forbes 2011 list. Bajaj Auto came into existence on 29 November 1945 as M/s Bachraj Trading Corporation Private Limited. It started off by selling imported two- and three-wheelers in India. In 1959, it obtained license from the Government of India to manufacture two- and three-wheelers and it went public in 1960. In 1970, it rolled out its 100,000th vehicle. In 1977, it managed to produce and sell 100,000 vehicles in a single financial year. In 1985, it started producing at Waluj near Aurangabad. In 1986, it managed to produce and sell 500,000 vehicles in a single financial year. In 1995, it rolled out its ten millionth vehicle and produced and sold one million vehicles in a year.